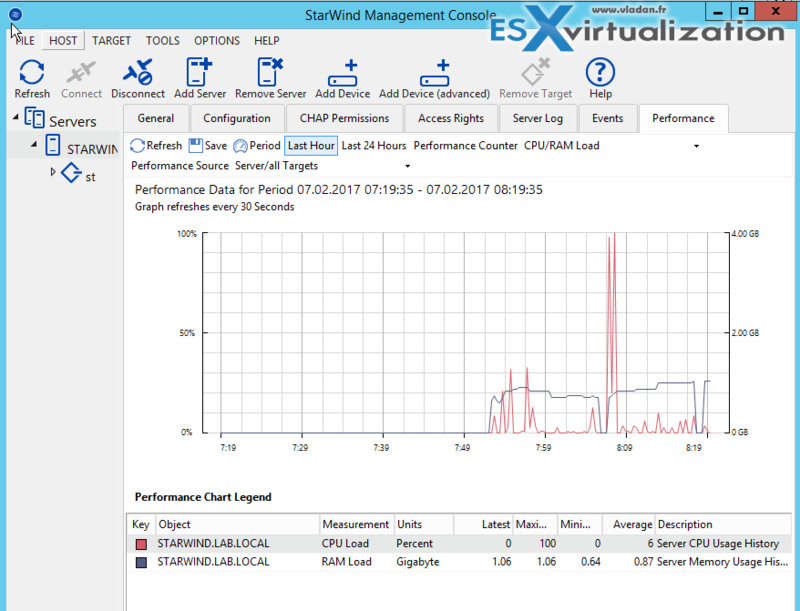 StarWind is known for their StarWind Virtual SAN software. 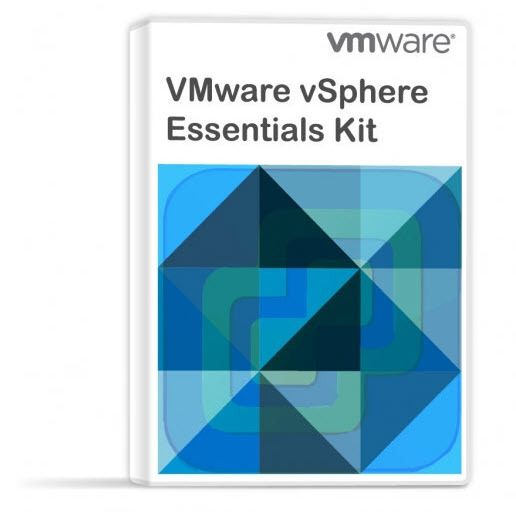 It’s a cost-effective solution for IT admins and organizations willing to deploy simple storage solution. Today we’ll talk about StarWind which is able to provide lower cost data services like caching, snapshots, QoS, or data optimization. Yes, in fact, StarWind Supports SMB3 – Did you know? StarWind itself installs itself on the top of Windows Server Standard, which, however, does not have to be Datacenter edition. Microsoft Datacenter edition is however required in case you’d like to create Scale-Out-file Server (SOFS) cluster and export highly available SMB3 storage. StarWind offers much better ROI as they provide not only an SMB3, but also other services such as caching, storage snapshots, QoS or data optimization. SMB 3.0 file share can be used for storing VMs, especially for Small and Medium Businesses and ROBO scenarios. If you build a high-performance file server with enough disk capacity, even avoid purchasing a dedicated SAN. StarWind you would only have to use 2 hosts and read requests are processed locally on the disks. Only write requests need an acknowledgment, which needs to “reach” the other node over the network. And with this configuration, you also eliminate a single point of failure. StarWind requires only two physical servers to provide fault-tolerance and high performance. This is significantly lower to what’s usually asks Microsoft for their reference architecture. The reads are done locally, which shortens the I/O path and reduces latency. The architecture is that simple. Also, StarWind by using iSCSI MPIO (Multipath I/O) helps distribute client requests between the nodes, which automatically load balances the requests and thus increases the performance. MPIO basically utilizes more than one physical path, even if the working application does not support more than one connection. Hyper-V over SMB 3.0 with StarWind Virtual SAN would be one of the most common scenarios. In this scenario, the Hyper-V host access VMs that are stored on a shared folder on a file server of some kind. The best practice is that this is a continuously available shared folder on a Scale-Out File Server (SOFS). Overview of a StarWind Management console. StarWind Virtual SAN can lower the overall cost and provide more data services on the top. Isn’t this the main reason to try it out? Get more for less. 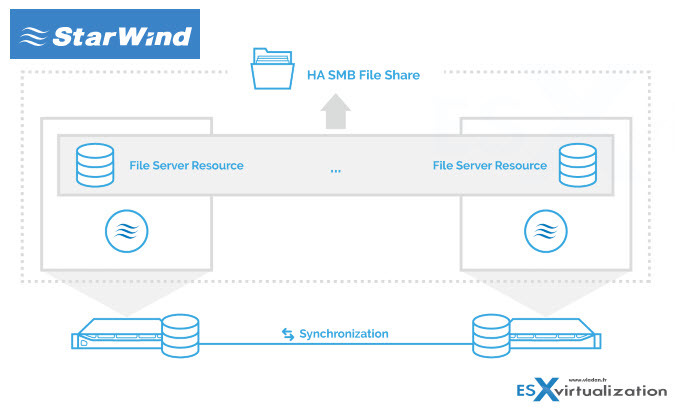 StarWind uses SMB3 which provides high performance and highly available storage for mission-critical applications. At the same time, it maximizes the hardware utilization.